The founder and winemaker is Joshua Klapper who developed a love for the Santa Barbara wine country after repeated trips to the region. He developed an interest in wine as a server at noted restaurants such as Café Boulud and DB Distro Moderne in New York and most recently, Sona in Los Angeles. He quickly became the Wine Director at Sona. Joshua worked harvests in 2006, 2007 and 2008 at Qupé and Au Bon Climat wineries He made his first Timeless Palate wines, including Pinot Noir, from the 2004 vintage while mentoring under Jim Clendenen, Bob Lindquist and Jim Adelman. In 2008, he assumed all of the winemaking duties for his label. 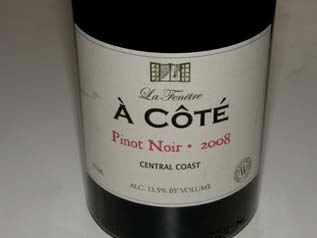 His Pinot Noir sources are impressive and include Bien Nacido Vineyard, Cargasacchi Jalama Vineyard, Cedar Lane Vineyard, Le Bon Climat Vineyard, Los Alamos Vineyard and Sierra Madre Vineyard. A Chardonnay, Syrah, Merlot, Cabernet Franc and Cabernet Savignon round out the lineup. The wines are available in fine restaurants and retailers and through a mailing list. See also Timbre Wines, a partnership with Alex Katz.